Graphene Week, one of the most influential graphene international conferences, was this year organised by NanoGune on 10-14 September. This conference is the main event of the Future & Emerging Technologies Graphene Flagship initiative of the European Commission and was focused on the science, technology and emerging applications of graphene. Among the 600 participants, GRACE was represented by Christos Melios. 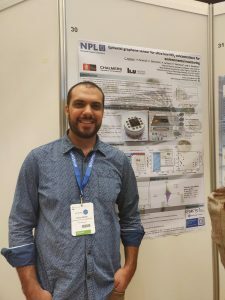 Christos presented a poster with title “Epitaxial graphene sensor for ultra-low NO2 concentrations for environmental monitoring”. 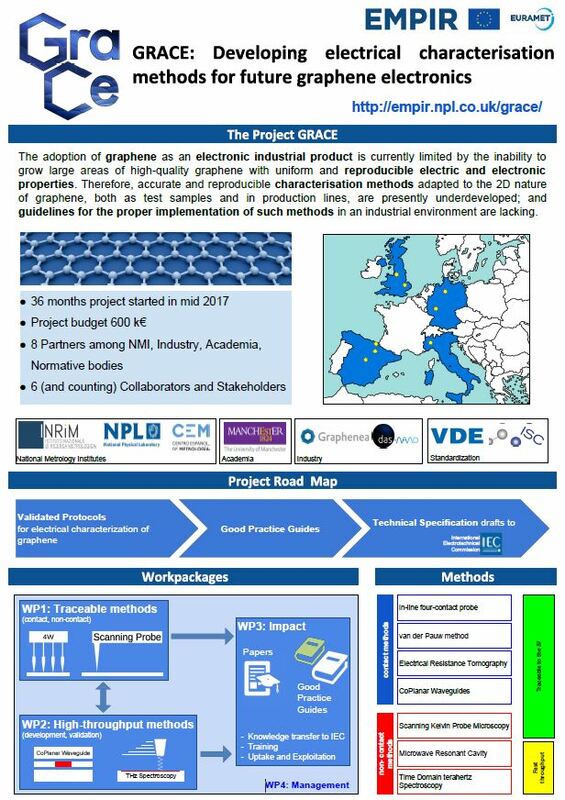 In his poster, Christos presented the development and testing of an NO2 sensor fabricated using epitaxial graphene. The sensitivity of the graphene sensor was tested in extremely low NO2 concentrations, down to 10 ppb and the cross-sensitivity to other gases and humidity, demonstrating the suitability of this device in environmental monitoring. These results are presented in t ACS Sensors.